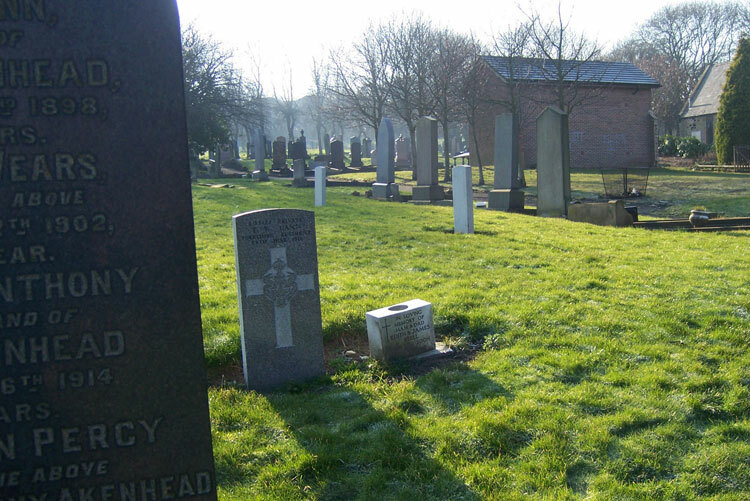 Gateshead East Cemetery contains 235 war graves of both world wars, all of which are scattered in different parts of the cemetery. Four of the First World War burials are for men who served with the Yorkshire Regiment. The Cross of Sacrifice, built of Stancliffe stone, was erected after the 1914-1918 War and stands inside the cemetery entrance. 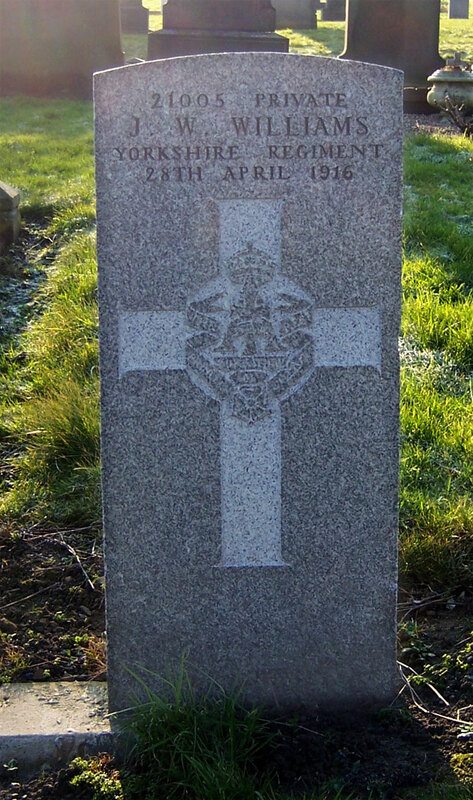 It commemorates not only the servicemen buried here, but also those buried in Gateshead (Saltwell) Cemetery. 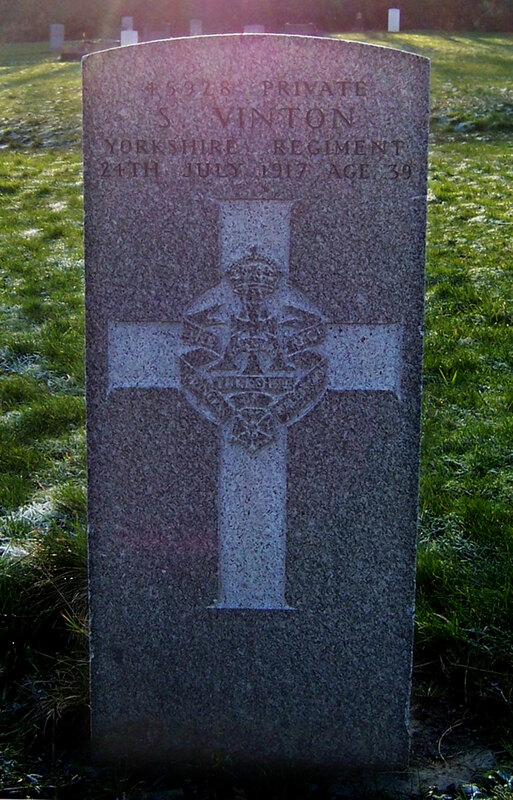 We are extremely grateful to Norman Cummings (<norman_cummings@hotmail.co.uk>) for providing the photographs of the headstones and of the cemetery. Select the above image for a larger version, which opens in a new window. Private Thomas Wilson Cann, 203121. 4th Battalion the Yorkshire Regiment. Husband of Mary Cann, of 49, Southery St., Gateshead. Died at home 28 June 1918. Aged 30. Select the above image for a larger version, which opens in a new window. 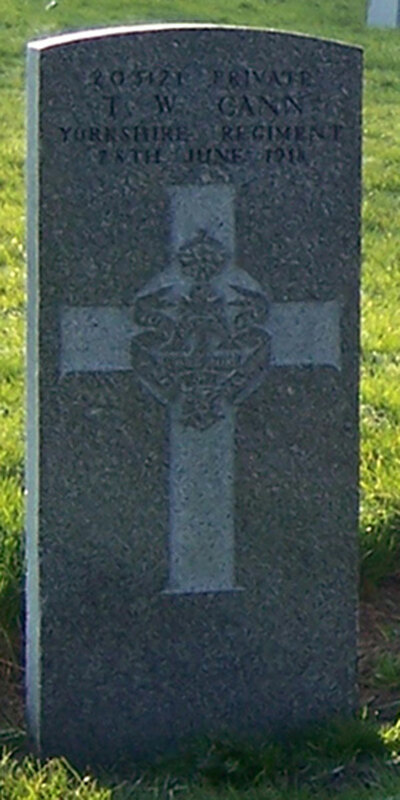 Private James Morgan, 61366. 4th Battalion the Yorkshire Regiment. Son of Joseph and Elizabeth Morgan, of 18, Ann St., Gateshead. 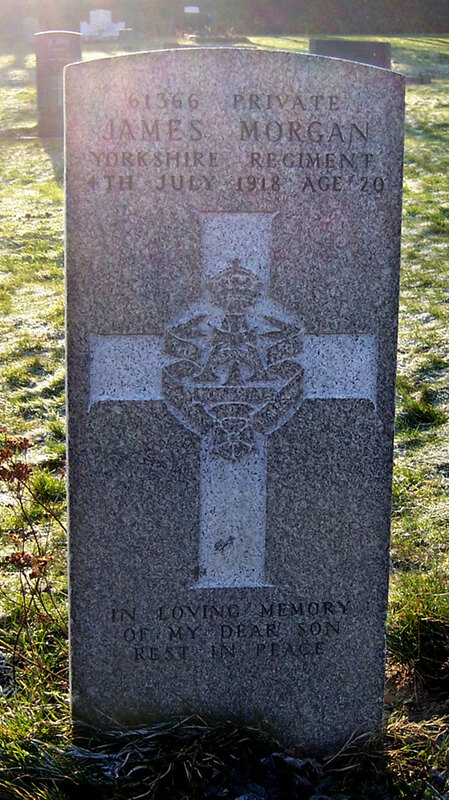 Died at home 4 July 1916. Aged 20. Born Gateshead, Enlisted Newcastle, Resided Gateshead-on-Tyne. Select the above image for a larger version, which opens in a new window. Private Samuel Vinton, 45928. 2nd Garrison Battalion Yorkshire Regiment, formerly 5/81152 90th T R Battalion. Son of William and Dorothy Vinton; husband of Rose Anna Vinton, of 5, Chandlass St., Gateshead. Born at Gateshead. Died at home 24 July 1917. Aged 39. Select the above image for a larger version, which opens in a new window. Private John William Williams, 21005. 4th Battalion Yorkshire Regiment. Died at home 28 April 1916. 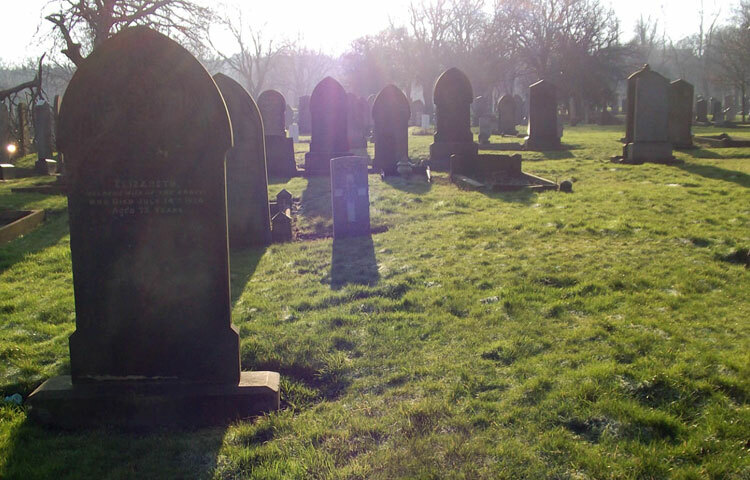 A view of Gateshead East Cemetery, with Private Cann's headstone in the centre foreground. 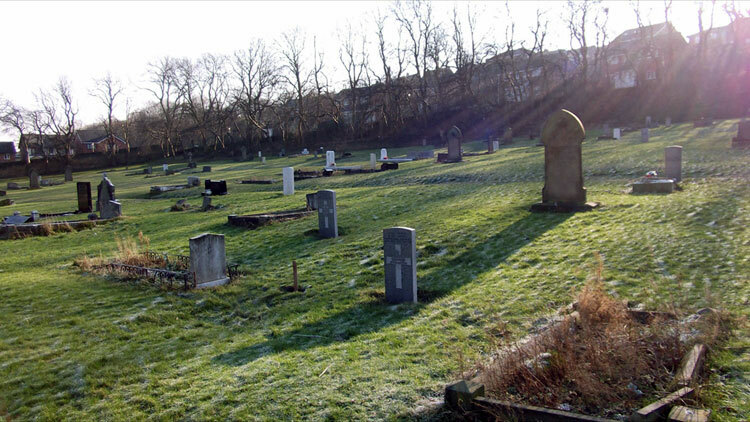 A view of Gateshead East Cemetery, with Private Vinton's headstone in the centre foreground. A view of Gateshead East Cemetery, with Private Williams' headstone in the centre foreground.